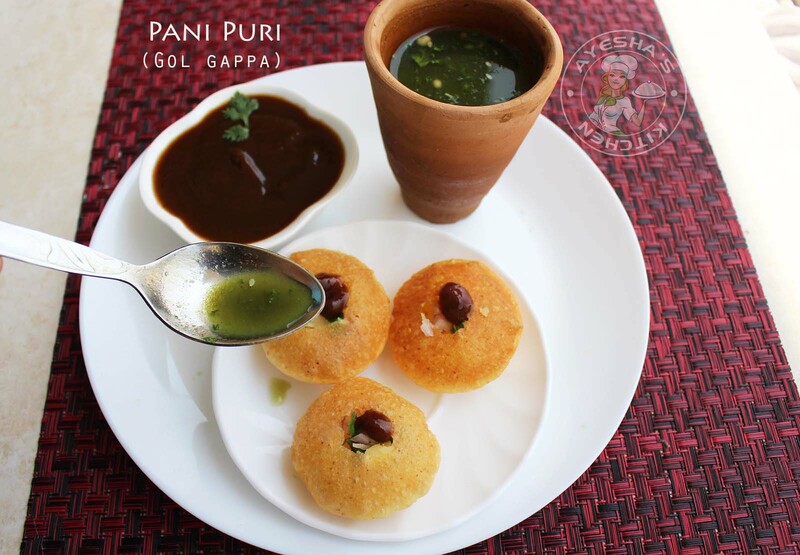 Pani puri, it has different names depending on the region. It is also known as Golgappa, Fulki, Puchka, Pakodi, Gup chup etc. 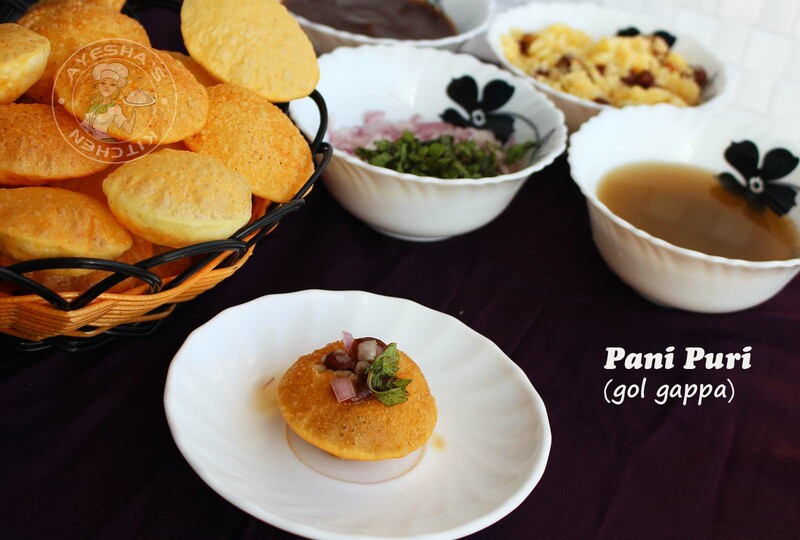 The word Pani puri means Water bread. As the name implies, Pani puri is a common street snack which consists of a small, round and hollow puri which is fried crisp and is filled with potato fillings, sweet tamarind chutney, and green spicy water. 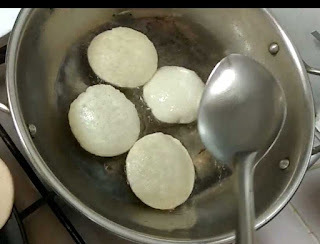 This is popularly known as Golgappa in North India. It is really hard to find someone who is unfamiliar with this street snack. 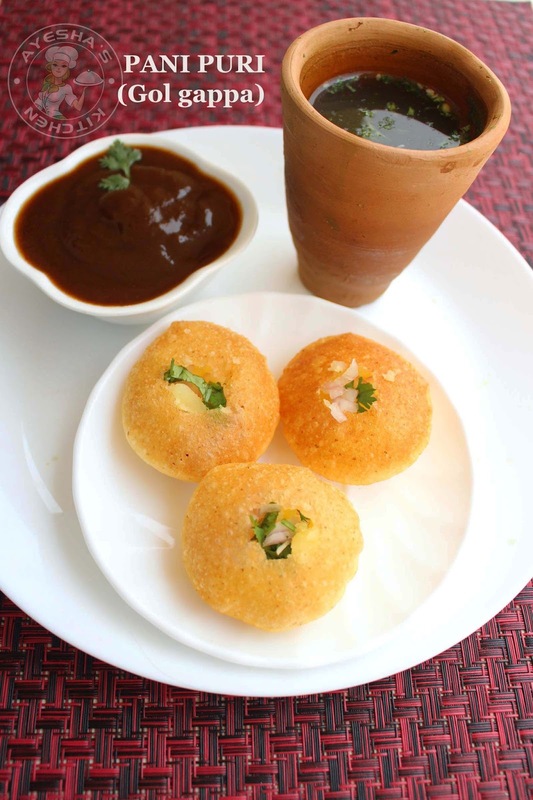 For those of you who are very much fond of this street food, here is the recipe for that smackingly delicious pani puri. 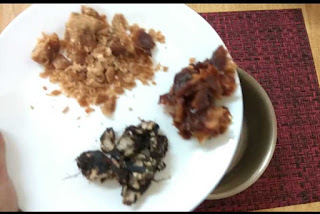 Many of my readers requested me to share this yummy snack. Actually, i thought that making pani puri at home is a difficult task till now. OMG!! This is pretty simple guys. The only hard job which i noticed is the making of puri. But once you make this at home, you will never go for street food stalls for this delicious snack. 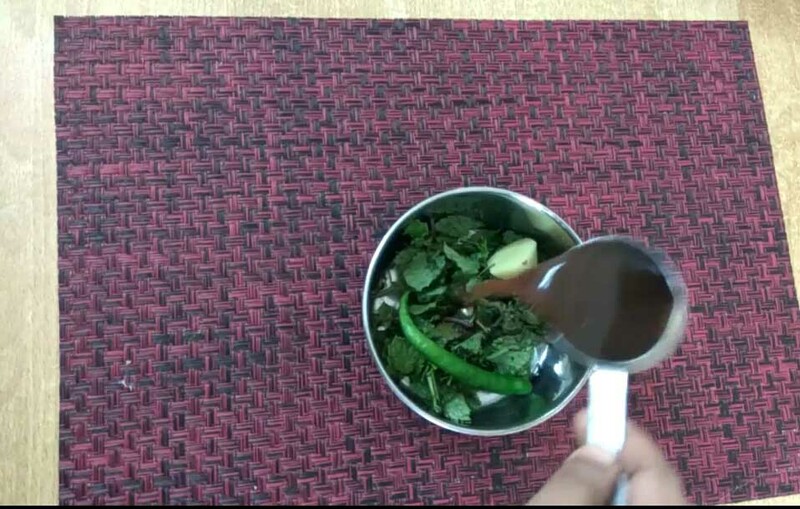 Sweet tamarind chutney and Green spicy water can be easily prepared in minutes and can be refrigerated for weeks. I had tried many recipes for making perfect puffed puri for this pani puri recipe. Some recipes really disappointed me. 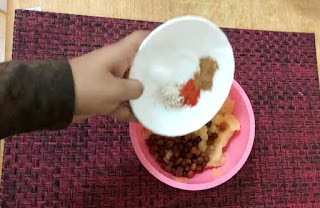 Trust me, this is the recipe which i prefer the most for making Gol Gappa. So here is the recipe and am sure it never let you down. Kindly please take the correct measurements while making the puri for this street snack. Pani puri consists of a crispy fried small puri which has a hollow in the center that is filled with sweet tamarind chutney(meetha pani) and green spicy water (pani). Potato fillings of your taste and chopped onion is also added for flavoring this snack recipe. Here i made puri with semolina and all purpose flour. 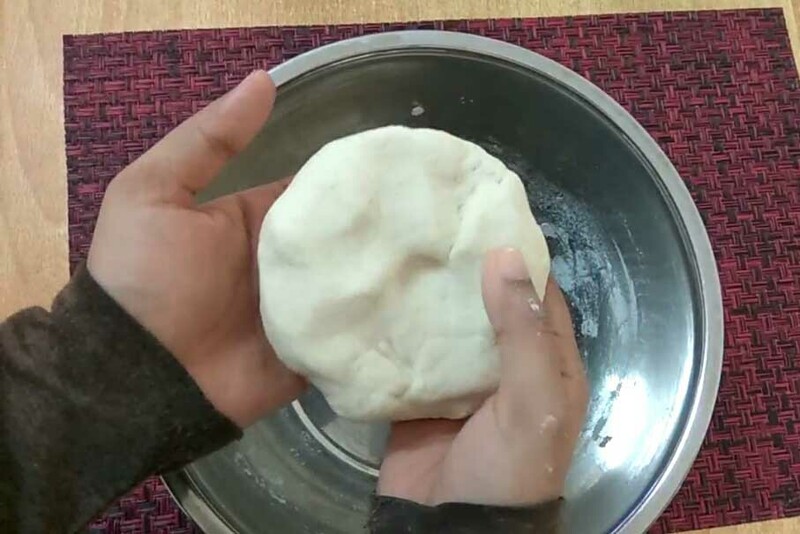 The making of puffed puri for pani puri is a bit tricky. 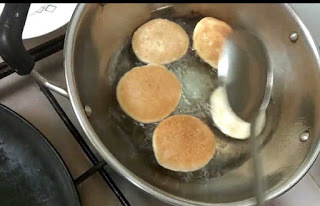 So kindly please follow the right measurements.So here is the recipe showing how to make pani puri at home/ easy pani puri recipe/ golgappa/ mumbai street food style pani puri/street snack/indian food/indian snacks recipes. Combine semolina(rava), All purpose flour(maida), salt in a bowl. To this add hot water little by little. 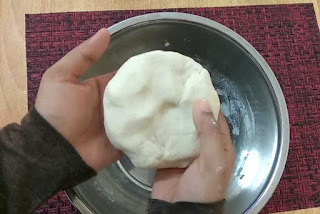 Knead well to form a semi-soft dough. You must knead well. Set aside, covered for half an hour. When done, again knead the dough. 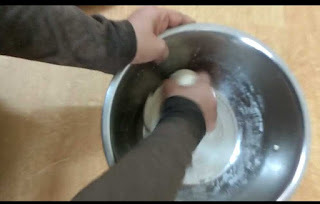 Divide the dough into two big balls. 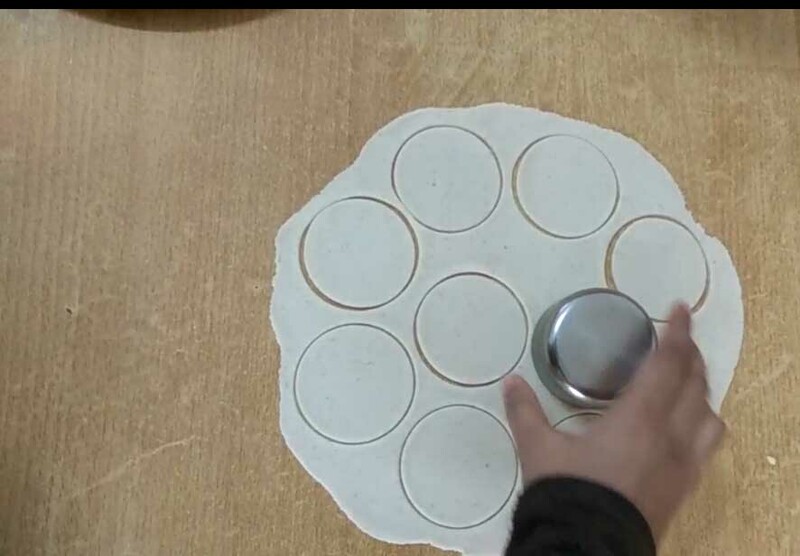 Roll out the dough using a rolling pin and make a large thin sheet. Using a round cookie cutter or round steel bowl, make small round shaped puri. When the puris become golden, transfer it to a paper towel. After 2 minutes store them in an air tight container. 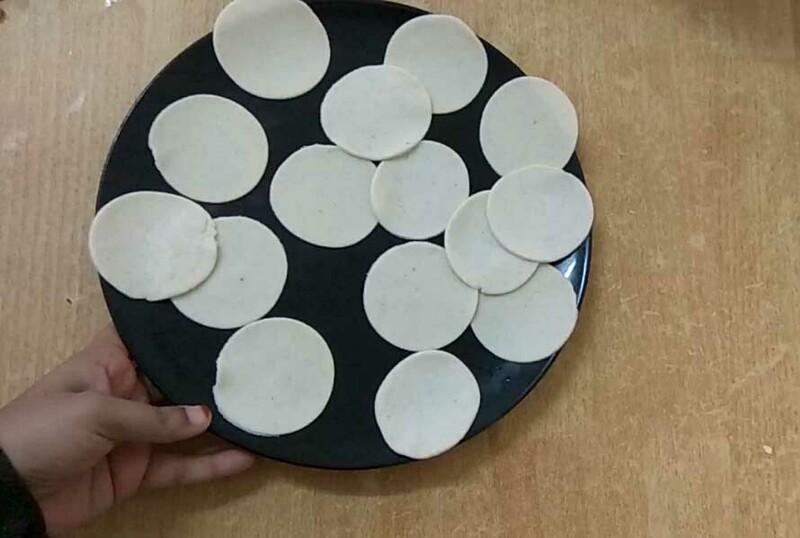 You can store this fried puri in an air tight container for weeks. 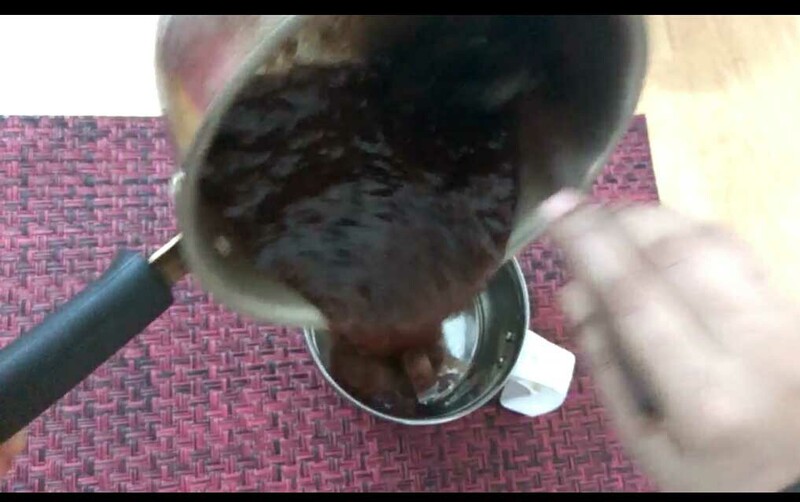 Add tamarind, dates, and jaggery in a vessel along with 2 cups of water. Mix them well. 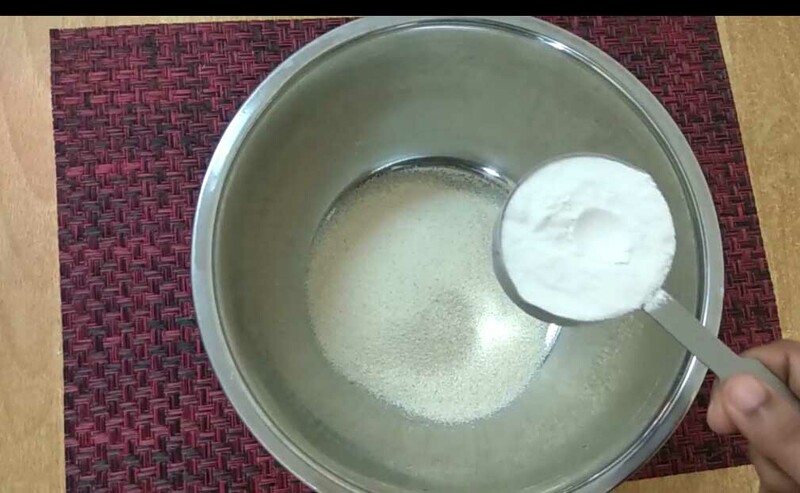 Boil it for 10 minutes over a medium flame. Stir occasionally. 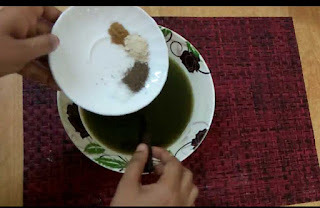 Blend them well and make a thick paste. 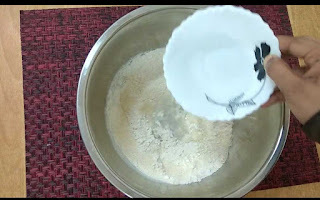 Strain it using a strainer into a bowl. Sweet chutney is ready. 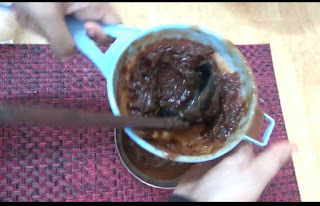 You can store this chutney in an airtight container for months in the refrigerator. 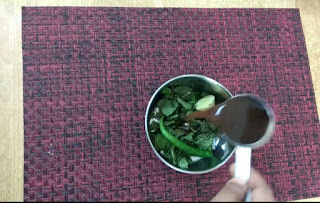 Add the chopped mint leaves, coriander leaves, green chilli, ginger, tamarind juice, water(2 tbsp) in a blender and blend it well. Strain it through a colander and set aside in a bowl. To this add 2 cups of water. Then add cumin powder, chat masala, ginger powder, pepper powder, salt. Mix very well and chill it for few minutes (preferably) so that all flavors gets blend well. You can also store this in an air tight container for weeks in the refrigerator. Add cooked mashed potato and cooked chana/peas in a bowl. 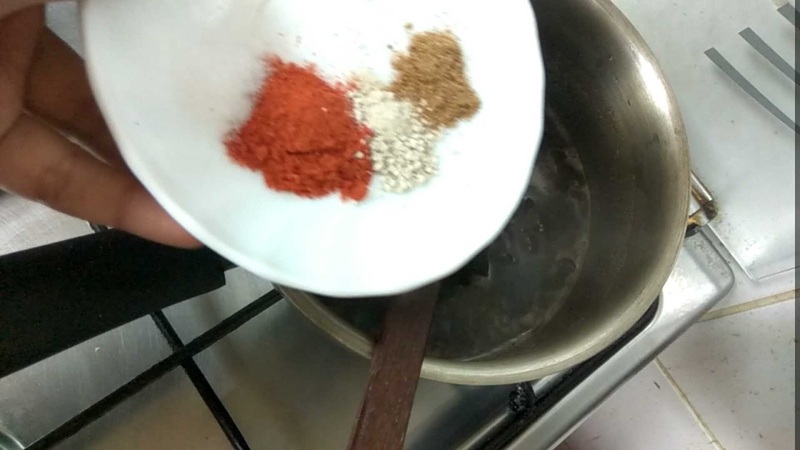 To this add red chilli powder, chat masala, ginger powder, and salt. Combine them well. Set aside. Take a puri. Crack the top of it with your finger or a spoon. Add a teaspoon of potato filling along with some chopped onion and coriander leaves. 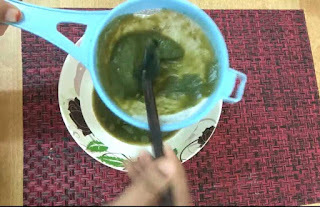 Stir the spiced green water (pani) and then add a teaspoon of it to this puri. Top it with sweet tamarind chutney and some chopped onion. 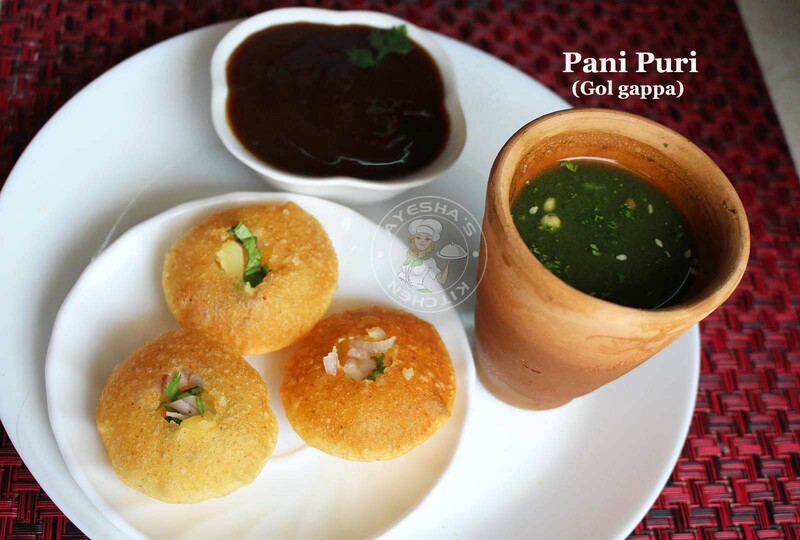 You can assemble pani puri according to your taste and preference.